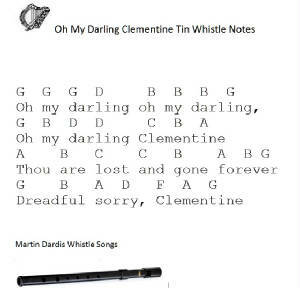 Oh My Darling Clementine Tin Whistle Notes. Also included are the mandolin music. This is probably one of the easiest songs ever to play and a great one for children starting out on whistle. Above are the basic letter notes which are the same as the sheet music and also the same as the video lesson.